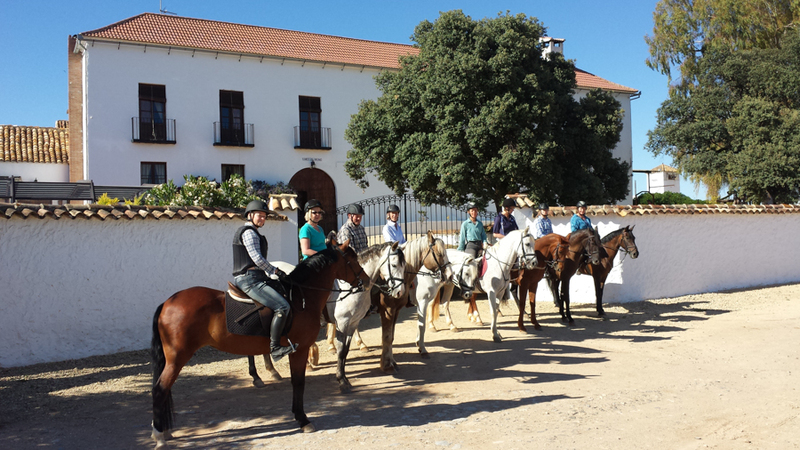 Why choose Hacienda Horses in Spain, as my equestrian Short Break Horse Riding Holiday Destination? That is a very good question! Well to start The Andalucían has its roots way back in 200BC at the time of the Roman Conquest of Spain. Later the Moorish conquerors cross-bred native Spanish horses with their own Arab and Berber horses. In the 15th century the Moors were forced out of Spain and King Phillip II started his own breeding program in Cordoba, he registered the breed as `The Horse of Spain’ in a royal decree. He then set about producing a horse that would carry a man safely; it would be brave, elegant, noble and beautiful. The result is the horses we have today at Hacienda Horses. 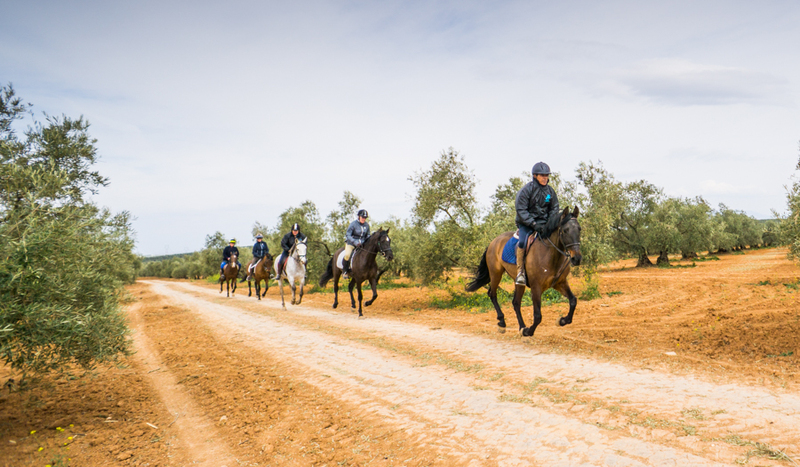 Come and experience what it is like to ride an Andalucían horse, the horse of Kings. Easy to fly to, from all major and most minor airport in the UK. The nearest airport to Hacienda Horses is Malaga. The flight time to Malaga from most airports in the UK is 2- 2.5 hours. Remember when calculating your destination time that Spain is always one hour ahead of the UK. Easyjet, Ryanair, British Airways, Aer Lingus, Norwegian, Thomson Flights, Monarch, Jet2 and Flybe, all have regular flights. 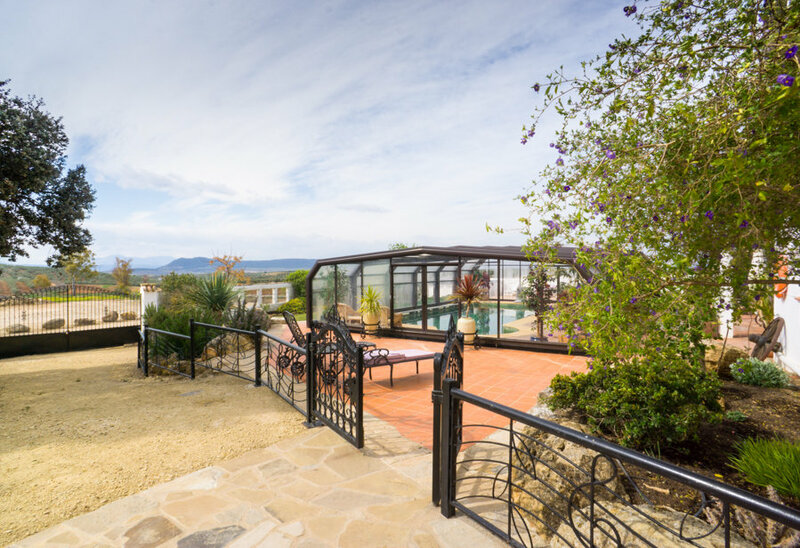 The Costa del Sol is the southernmost point of Europe, it is warm throughout the year, because of its location weather is warmer, and rain is less. Meals can be eaten outside for 9 – 11 months of the year. We still however have an abundance of wild life, birds and flowers. 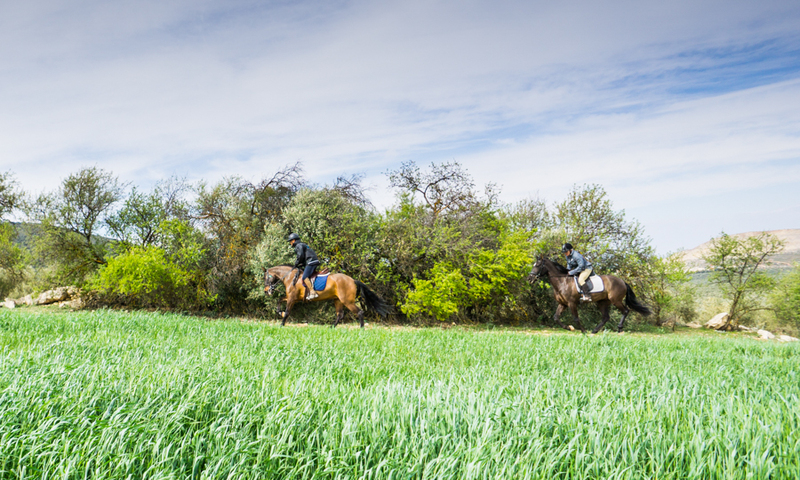 Next to where Hacienda Horses is situated is a designated natural area for wild life protection that we can ride through, we stay to the paths to prevent any intrusion to the eco system. The name of this area is La Camorra. Here you can savour the scent of pine, sage, thyme and rosemary. Wild birds are in abundance Hoopoes, Cuckoos, Buzzards, Kites can be spotted and if you are very lucky you might even see one of European Eagle Owls that nest near the Cortijo each year. Beekeepers make special honey here which has a hint of rosemary as this flower seems to be a favourite of the bees in this area. 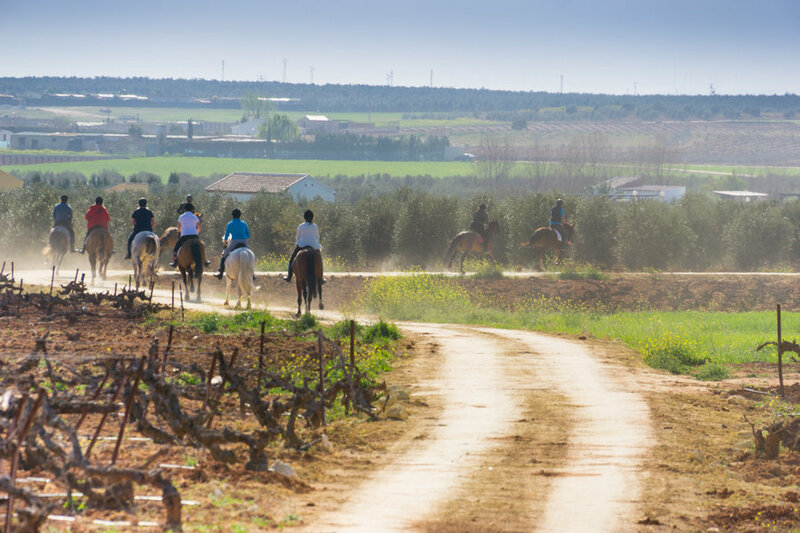 Horse riding is deeply ingrained into the Spanish culture, especially in the southern province of Andalucía, making Spain and ideal destination for an equestrian vacation. The country has enduring love of horses and locals take great pride and celebrate in the beauty of their Andalucían horses. There are many occasions for them to express this passion with local ferias in nearly every village and city. 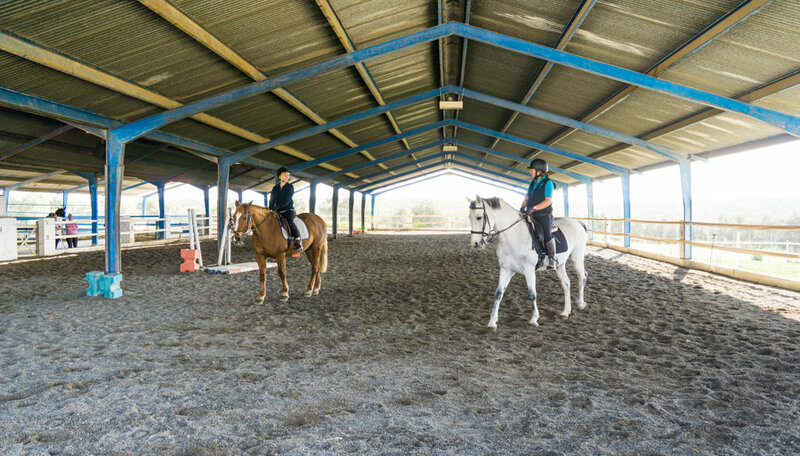 The best of the organised horse shows will be found in Jerez in the Royal School of Equestrian Art and the Kings Palace in Cordoba, both of which provide Equestrian Spectacles on a daily basis and should not be missed during your time in Spain. At Hacienda Horses we try wherever possible to employ local people. We have found them to be welcoming and have a willingness to want to make sure that guest have the best holidays ever. The team here all work together and all will go and help in another area of the house if necessary. For us it is a pleasure to work with them. Local government has also been extremely helpful with the set up of this project. We value their co-operation. Our area here is very safe, which might be a concern for the `single traveller’. Locals will wave warmly as you pass by and are genuinely pleased to see you. Should you get lost in the village they will happily give directions. They have even been known to get out their cars and give walking guests a lift back. Cortijo Uribe itself was built as a fortress during the early 1900s, access without permission is extremely difficult. Tortillas, Jamon Serrano, Manchengo cheese are all popular, but there are so many of Spain local dishes still to be discovered – berenjenas com miel, leche frita, pora, albondigas, carrilladas. I will not translate as I want you to discover them with your palate. Come and meet him share his passion for local dishes, these are flavours you will want to try at home. At the time of writing the Euros is trading at 1.39 to the pound, which is extremely good value.